LG's V40 ThinQ, which features a whopping five cameras, will skip the holiday season and arrive in February. The LG V40 ThinQ was officially announced back in October alongside the Google Pixel 3 and Huawei's Mate 20 Pro - which did leave it a little overshadowed at the time. The device runs on Android 8.1, a Snapdragon 845 processor, 6GB of RAM and a 3300mAh battery. 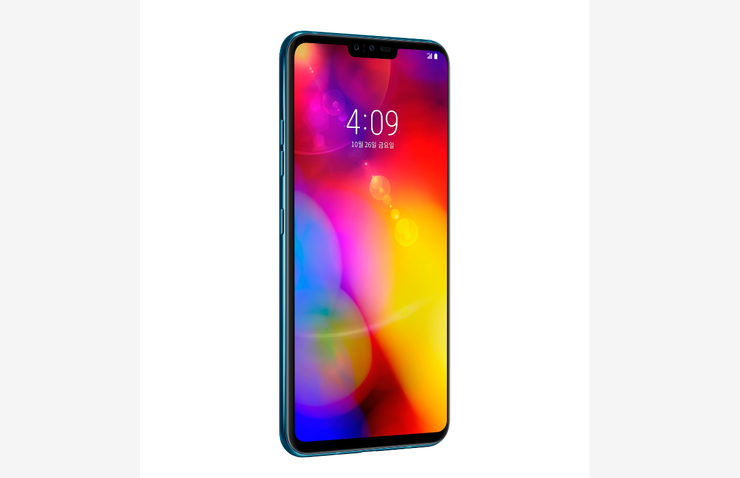 It also boasts 64GB of on-board storage (plus MicroSD support) and a 6.4-inch 19.5:9 QHD+ OLED FullVision Display with a notch on it. As mentioned, the headline feature here is the five cameras. The LG V40 ThinQ features a 16-megapixel Super Wide lens (f/1.9), 12-megapixel standard lens (f/1.5) and a 12-megapixel telephoto lens (f/2.4) on the back. Then, on the front of the phone, the LG V40 ThinQ pairs up an 8-megapixel standard (f/1.9) lens with a 5-megapixel wide angle (f/2.2) one. Traditionally, LG's V-Series of smartphones are more experimental and interesting than their mainline G-series. Hopefully, the V40 continues that trend. We came away reasonably impressed with last year's LG V30+ and in our review we said that "The V-series has always been LG’s playground for the more ambitious fare left out of their more-mainstream flagship G-series - and all the better for it. The V30 continues that trend in good form." The LG V40 ThinQ will be available from JB Hi-Fi and Mobileciti from early February 2019 with a $1299 RRP.